silicone rubber components by marsh industries, inc.
Silicone compounds have been proven to be some of the most resilient and versatile materials available in industry. The extraordinary qualities of silicones allow retention of desired physical characteristics upon exposure to wide ranging temperatures and pressures which means a lifetime performance in their applications where other materials would deteriorate. 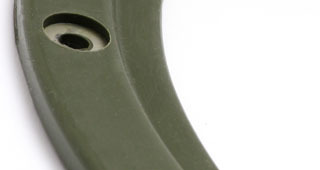 At Marsh Industries Inc., we are a leading silicone gasket supplier with a broad range of gasket manufacturing capabilities serving aerospace, automotive, appliance industries, among others with high-quality silicone rubber components.